The entire content of the Forster Kitchens website is protected by copyright (all rights reserved). Downloading or printing out individual pages and sections of the Forster Kitchens website is permitted insofar as neither copyright notices nor other legally protected designations are removed. If you download software or other data from the Forster Kitchens website or reproduce it in any other way, Forster Kitchens retains all ownership rights. The complete or partial reproduction, transmission (electronically or by other means), modification, linking or use of the Forster Kitchens website for public or commercial purposes is prohibited without the prior written consent of Forster Kitchens. Forster Kitchens and the corresponding logos are registered trademarks of Forster Kitchens. No part of the Forster Kitchens website is designed to grant any licence or right to use any image, registered trademark or logo. The information and statements published on the Forster Kitchens website do not constitute a solicitation, offer or recommendation to buy or sell services or to engage in any other transactions. The information on the Forster Kitchens website is, as a whole, of a descriptive nature. Although Forster Kitchens makes every effort to ensure that the information on the Forster Kitchens website is accurate at the time of publication, neither it nor its contractual partners provide any assurances or guarantees as to its accuracy, reliability or completeness. The information and views expressed on the Forster Kitchens website are subject to change without notice. 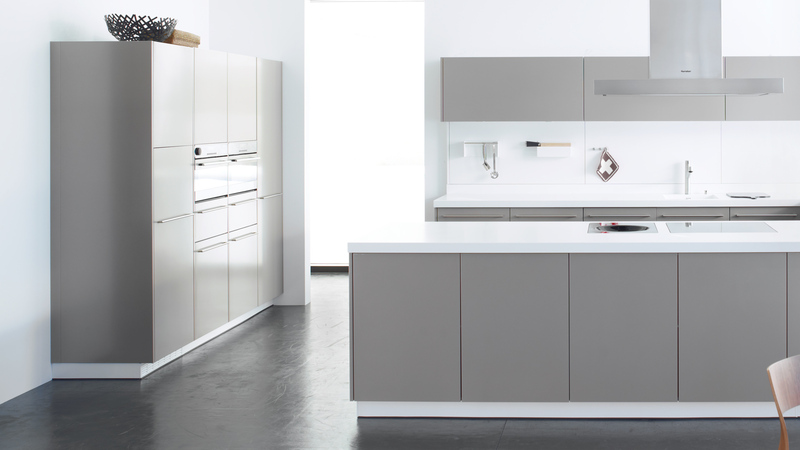 Forster Kitchens provides no guarantee, either expressly or implicitly, as to the accuracy of the information and opinions shared via the Forster Kitchens website. Forster Kitchens assumes no responsibility and provides no guarantee that the functions of the Forster Kitchens website will not be uninterrupted or are error-free, that errors will be corrected, or that the Forster Kitchens website and the respective server are free of viruses or harmful elements. Any liability on the part of Forster Kitchens (including negligence) for damages or consequential damages arising from access to or the use of (or inability to access or use) the elements of the Forster Kitchens website is excluded. Forster has not checked the websites linked to the Forster Kitchens website and does not accept any responsibility for their content, or the products, services or other items offered via them.